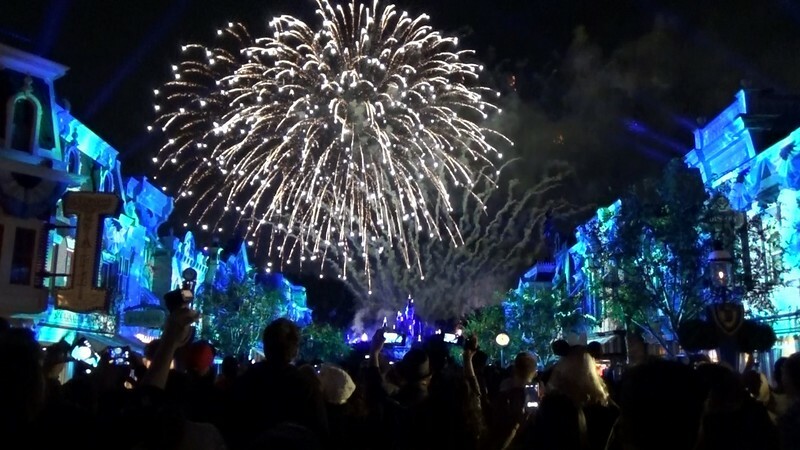 In celebration of Mickey’s 90th Anniversary, Disneyland is inviting you to GET YOUR EARS ON. As part of the festivities, you can sink your teeth into a whole bunch of tantalizing tastes to tempt your palate. We’ve tried a few for you already and present our thoughts below. ENJOY! “Share Your Ears” Cheeseburger ($14.99) – Angus 1/3 burger with American Cheese and cheeseburger slider “ears”. The burgers are presented with just cheese. The larger burger also has a burger sauce. There’s a toppings bar at Smokejumpers so you can dress your sandwich however you like with lettuce, onions, tomatoes, pickles, etc. In truth, this burger is not really any different than other burgers around the Resort. If you’re not a fan of theme park burgers then the novelty of the appearance is about the only thing going for it. We enjoyed it very much but probably won’t be clamoring to have another any time soon. Specialty Toasted Cheese Sandwich – Swiss, Jack, and Fiscalini cheddar cheese with crispy pancetta and blackberry jam. The combination of flavors here is absolutely delightful. The fact that’s served with chips is about as common sense as could be but the real magic here comes when you dip your sandwich into the jam. A true delight! Confetti Cake Shake – Vanilla shake with crumbled confetti cake, icing, whipped cream, and Mickey sprinkles. There’s not a lot of mystery here based on the ingredients and yet it’s so magically delicious. It’s a party in a glass and we can definitely see ourselves having another one soon. Vegan Hot Diggity Dog – Vegan hot dog topped with spicy lentil chili, onions, and mustard served with seasonal fruit. It’s always great to see options for our vegetarian and vegan friends and this option is decent but certainly not something we’d advise non-Vegans to absolutely try. A Cheesy Celebration – Cheddar sausage link with creamy mac and cheese, salsa verde, crumbled spicy cheese puffs, and cheese curds on a toasted bun. It’s a little ridiculous how delicious this doc really is. The combination of flavors make for a really really delicious meal. More Cheese Please – Filmstrip fries with creamy mac and cheese, salsa verde, crumbled spicy cheese puffs, and cheese curds. A fantastic snack option (or a complete meal if you’re so inclined) with a bunch of great flavors. It can be a little one-note but we finished every last bite here with this definitely shareable dish. Above is just a small sampling of all the goodies ready to drain your wallets and fill your tummies. Here’s a full listing of all the options for the GET YOUR EARS ON celebration.